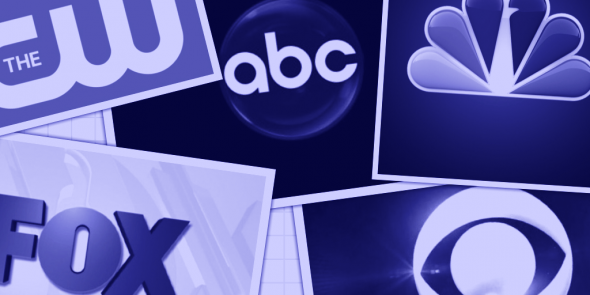 Each season, the television networks introduce dozens of new TV shows and hope that each will be a big hit in the ratings. Unfortunately, most are cancelled after one season. How are the 2018-19 series doing? Which have the best ratings and which have the worst? How many will survive to see a second season? Stay tuned. Here are the season average ratings of the new 2018-19 network TV shows — through the end of week 12 (Sunday, December 9, 2018). New ABC shows (so far): The Alec Baldwin Show, The Conners, Dancing with the Stars: Juniors, The Kids Are Alright, A Million Little Things, The Rookie, and Single Parents. CBS shows this season (so far): FBI, God Friended Me, Happy Together, Magnum PI, Murphy Brown, and The Neighborhood. CW shows this season (so far): All American, Charmed, and Legacies. FOX shows this season (so far): The Cool Kids and Rel. NBC shows this season (so far): I Feel Bad, Manifest, and New Amsterdam. Note: Though Murphy Brown isn’t technically a new show, we’re treating it as such because it’s been off the air for so many years.